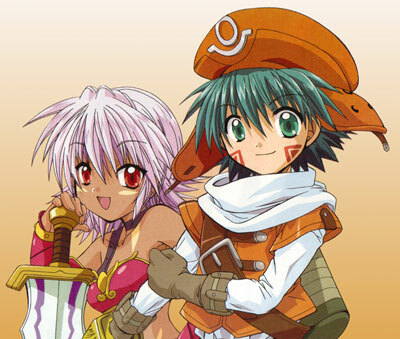 The animated .hack series came out in the infancy of online games. Well online console gaming, as PC's have had online gameplay for ages and ages. Anyway, the .hack series is based in an online roleplaying game called 'The World'. Access to this online world is achieved via a virtual reality type headset which the player wears for a totally emersive experience. The first .hack animated series is called .hack//sign and features a somewhat depressing main character. Watching this anime took me back to the good old PSO (Phantasy Star Online) days on the dreamcast. I found it intriguing that you never really saw what the people looked like in the real world (apart from a few short glimpses), and were far more familiar with their online characters. The creators of the .hack series' really seem like they have their heads screwed on correctly. For those of you who have played the four part .hack series on the Playstation 2, the end of the the .hack//sign series blends perfectly into the gaming series. Which has been included into the actual events that take place in the .hack universe. The newest .hack animated series released, is .hack//legend of the twilight. This series continues the .hack series universe by continuing the story after the Playstation 2 game series, where new gamers have taken control of the ones featured int he gaming series. Pretty genius if you ask me. 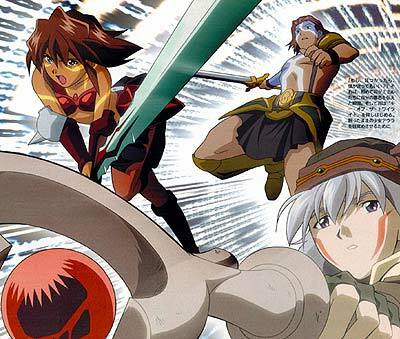 Look out for the next .hack series to appear on the playstation 2 and watch in awe as the creators of the .hack series seemingly interact both the animated and video game stories once more.